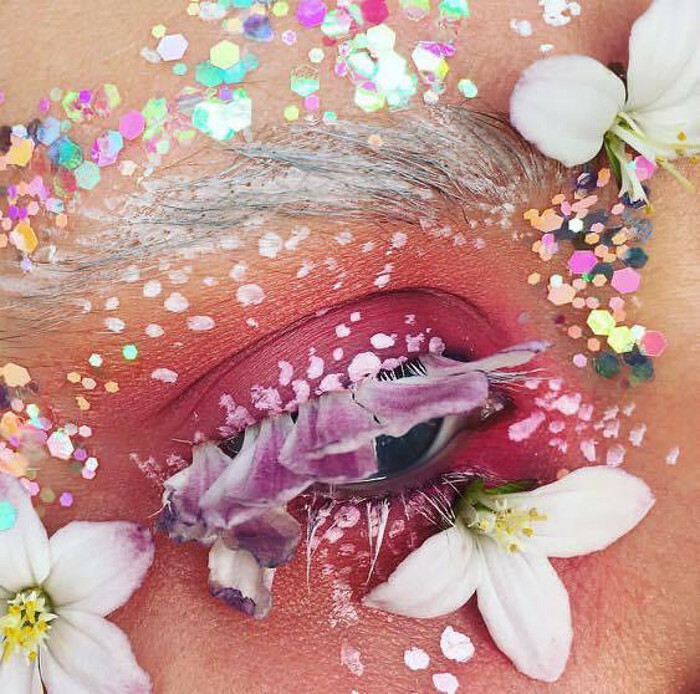 Ellie Costello is the U.K. based makeup artist behind the mesmerizing terrarium eyes makeup	trend that we had a chance to see on Instagram. Many Instagram trends offer a temporary rush and shortly after that, they are gone. 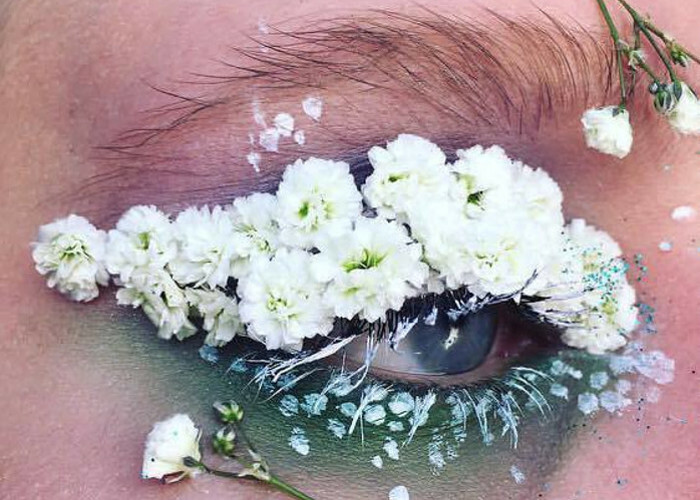 But Ellie’s breath-taking makeup creations inspired from nature radiate with unique timeless beauty. 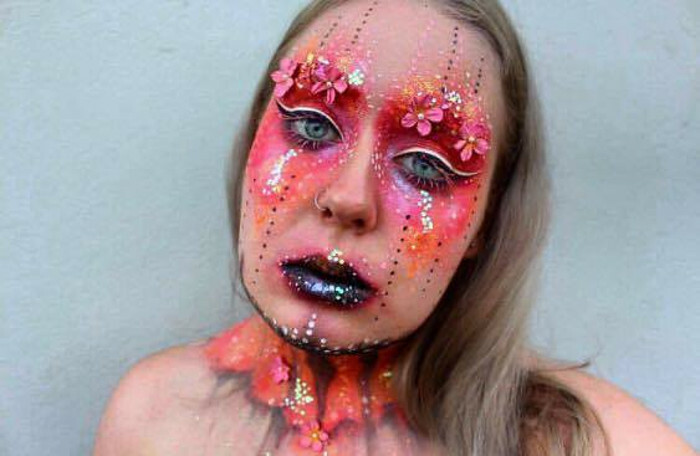 She is known by the name @makeupisart_x on Instagram and her profile is followed by more than 16,000 people. 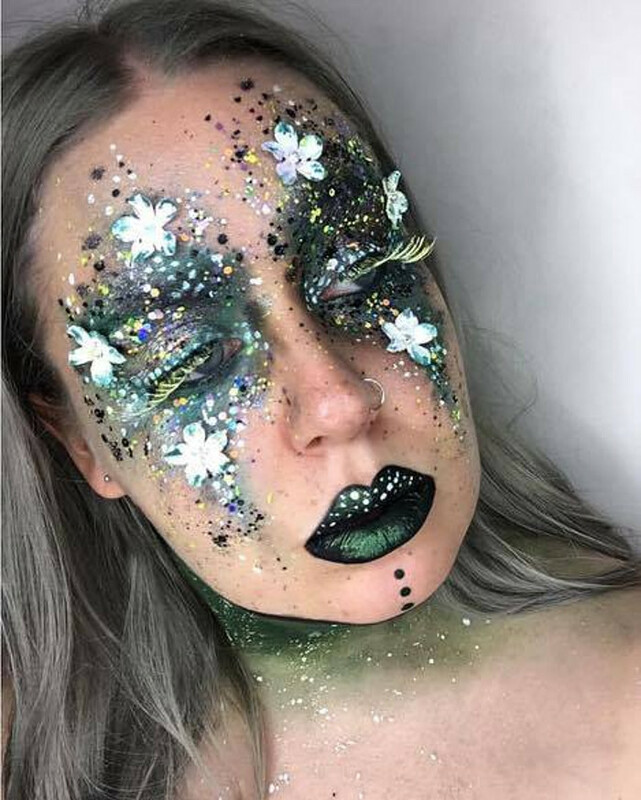 The self-taught makeup artist works for MAC and uses predominantly their products to create the nature inspired makeup looks. 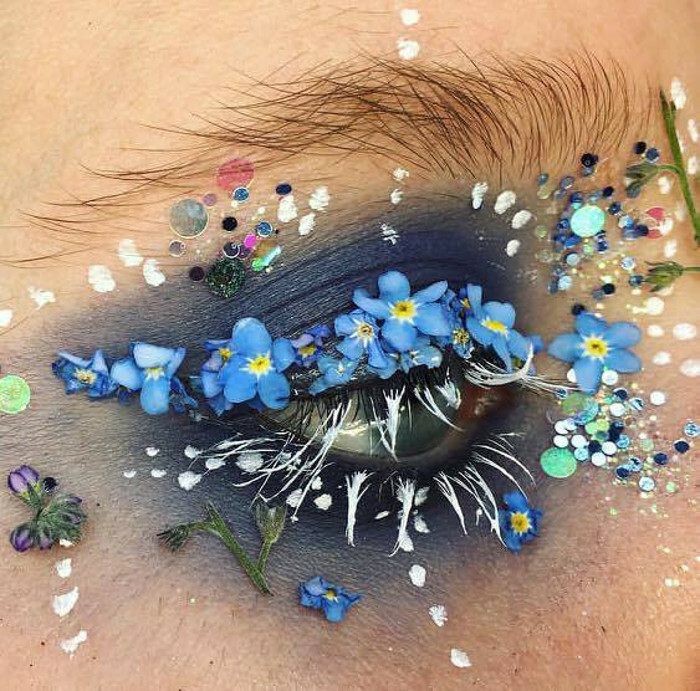 Ellie also uses real flowers from her garden, petals, artistic leaves, and glitter to add drama to her looks. Ellie started the trend in the middle of March when she posted a picture of herself with the title “Enchanted Forest’. 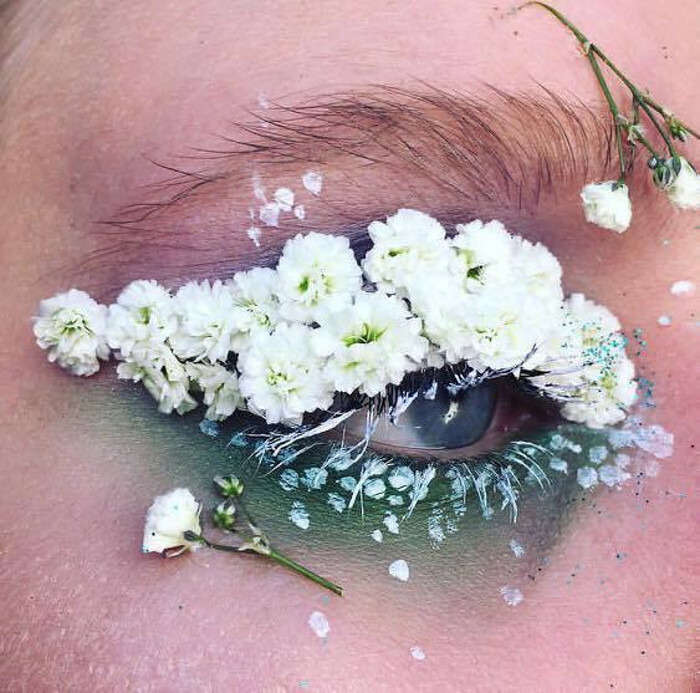 The look was followed by other artistic makeup creations that involved flowers and other plants. The	Instagram audience immediately recognized the potential in Ellie’s artistic makeup looks and a couple month later the terrarium eye got a lot of social media attention and shares. With so many beauty gurus and aspiring makeup artists on social media, the competition is bigger than ever. Artists try to outdo one another and the result is outstanding! We have to admit that Instagram is the place where we have a chance to see some	of the most amazing makeup and beauty trends. Today is all about innovation. Artists’ creativity is challenged by the competition and everyone tries their hardest to stand out. 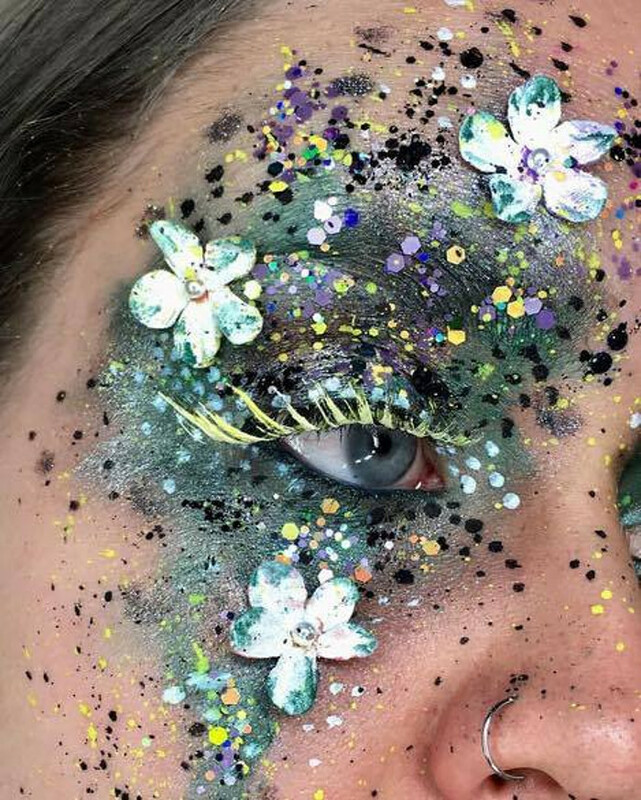 Flower inspired makeup looks were not a thing in the past, but Ellie definitely made a statement with her outstanding work. She is constantly posting pictures of her makeup looks enriched with flowers and plants from her garden. While people struggle to make a perfect line with their regular black liquid liner, Ellie creates a 3-D feline eye using real flowers. 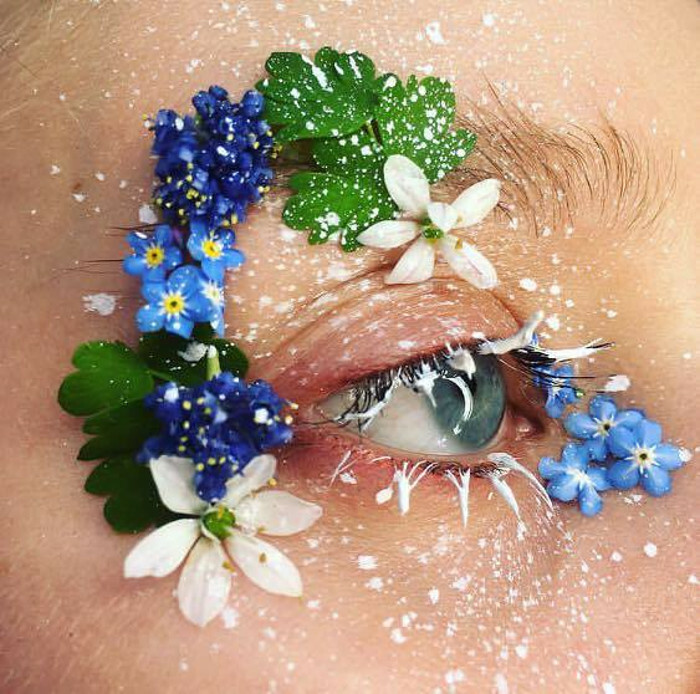 According to the 19-year-old makeup artist, the inspiration to use flowers on her eyelids came from another Instagrammer that she usually tags under her picture with profile known as @ItsJuneJune. Ellie often times uses freshly plucked petals instead of false eyelashes. We have to	admit that we don’t have a chance to see petals glued to the lash line every day. Ellie’s 3-D application technique will bring you into an amazing flower fairy tale. 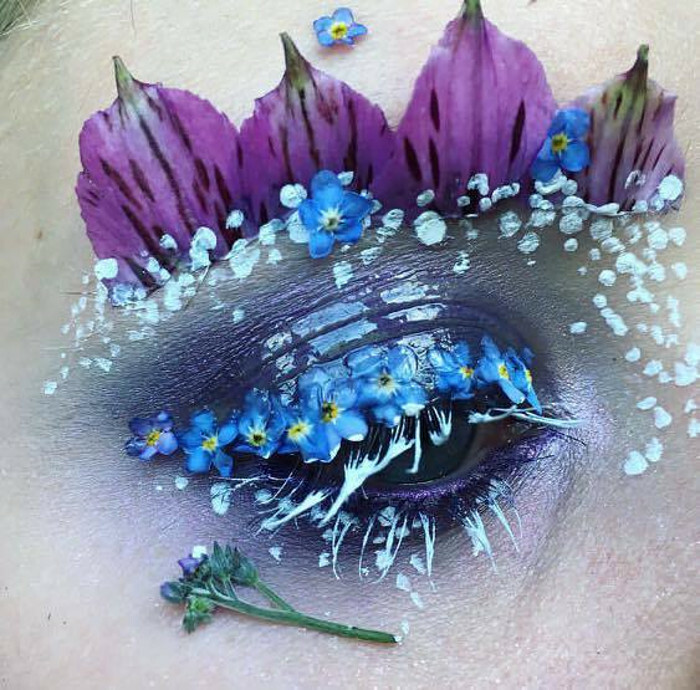 Besides the eyes, Ellie started doing a full face flower inspired makeup where she plays with colorful plants from her garden and arranges them all over her face.